The IPC line is a fully integrated line for production of cold rolled, ribbed, straight lengths of high tensile steel bar for reinforcing purposes or for line/cross wires for welding into reinforcing mesh. The wire is fed from a payoff system. The payoff type is dependant on feed speeds required and coil type. Refer to the pay off selections. 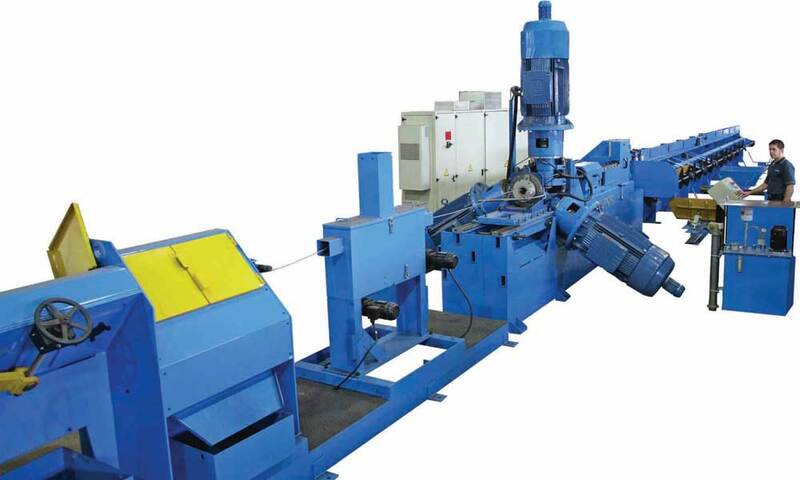 The machine has roller reducing units to provide the required reduction in cross sectional area and to introduce the profiling onto the wire. 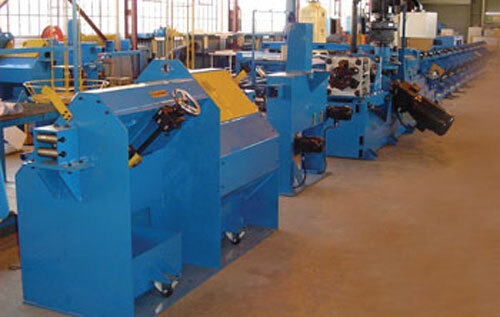 The final profiling rollers are driven by AC motors with frequency controlled drives resulting in reduced maintenance costs. 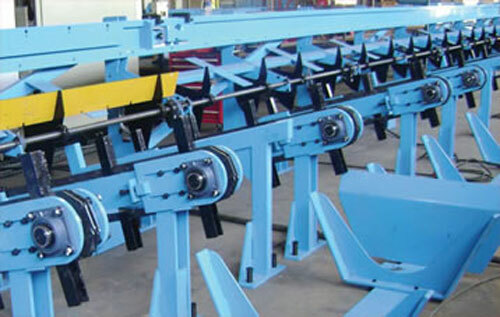 The wire is straightened in a conventional straightening arbor and is cut to length in a rotating shear assembly. Length is determined from an electronic length input control. Wires are discharged into a receiving tray with a pneumatic end alignment system. Extra features could include a bundle batching station. Max. inlet wire diameter 17mm/0.670"